We at Julius Chang Consultancy Services Sdn. Bhd. (Comp. Reg. No. 95728), the premiere and only genuine academic assistance company in Malaysia, offer to help you with your online forum discussions, quizzes, projects, exams, SPSS, assignments, thesis, dissertations, homework, final year projects and other courseworks or even write them from scratch. We have a team of experts coming from diverse academic backgrounds with qualification ranging from Bachelor, MBA, to PhD degrees; who are also working professionals with rich experience in their area of expertise. Proven by our reputation, we have been providing these services for a wide spectrum of students and won accolades from student community. We provide faster services and deliver solutions with high quality. We are always there to assist students to get higher grades. The reference papers provided by Help4Assignment.com.my (Julius Chang Consultancy Services Sdn. Bhd.) serve as model papers for students and are not to be submitted as it is. These papers are intended to be used for research and reference purposes only. 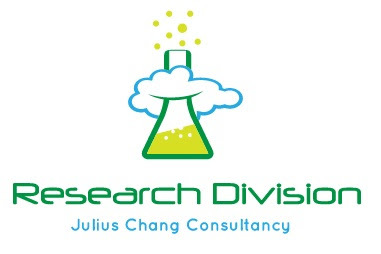 We, Julius Chang Consultancy Services (Comp. Reg. No. 95728) are an independently established brand of our owning website http://help4assignment.com.my by Malaysia’s laws, and thus are in no way connected to other similar websites bearing our branded name who is trying to unethically defame us. We exist legally by the law of Malaysia independently with the sole purpose of providing plagiarism free, high quality and best value works to our customers. We are therefore not connected to any other blog websites, emails or websites of other natures that are bearing our brand help4assignment belonging to unverified individuals who are not legally Malaysia registered companies who is trying to defame our reputations. Therefore, rest assured in dealing with us, as we are after all a lawful Malaysian registered company that abides all the ethical rules to provide the best possible value-adding services to you. Please do not trust the comments made by other unverified individuals who exist to merely spoil and defame our reputation. Thank you. Our mission at Julius Chang Consultancy Services is to advance and promote academic and professional excellence, continuous learning and personal development. By delivering outstanding services we aim to boost the academic success and future careers of our clients. We are committed to fulfilling our guarantees and promises, and strive to maintain our status as the Malaysia’s leading provider of high quality custom-written papers. We help our clients to excel in their studies and employment, to improve their knowledge and boost their academic and professional careers. We offer our writers continued development through interesting and challenging work, enabling them to broaden their knowledge base and achieve their goals. We offer our employees challenging, interesting and rewarding jobs, creating a loyal, happy and healthy workforce. We see Julius Chang Consultancy Services as a multidimensional, rapidly developing organisation with excellent perspectives and strong relationships with clients and employees. We shall continue to meet the needs and demands of our clients and promise to be transparent, fair and balanced in everything we do.